Ballots have arrived, and Election Day is less than one week away! 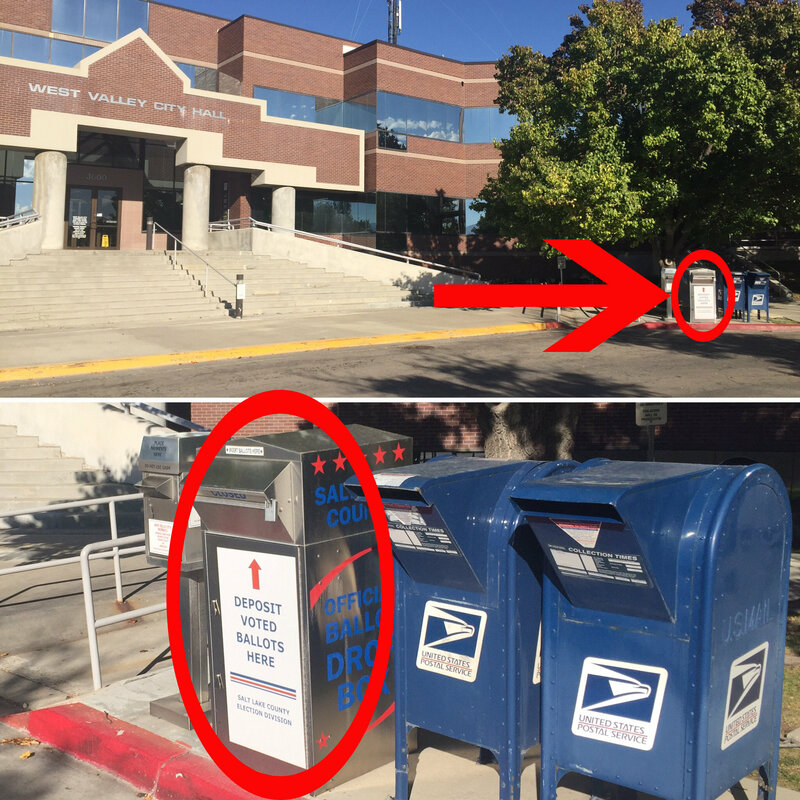 1 - Return your ballot in the mail. Needs to be completed and SIGNED. Deadline: Must be postmarked by November 5, which is the day BEFORE Election Day. Deadline: Must be in the box by 8:00 p.m. on Election Day. 3 - Vote in person - Here, there are two options. 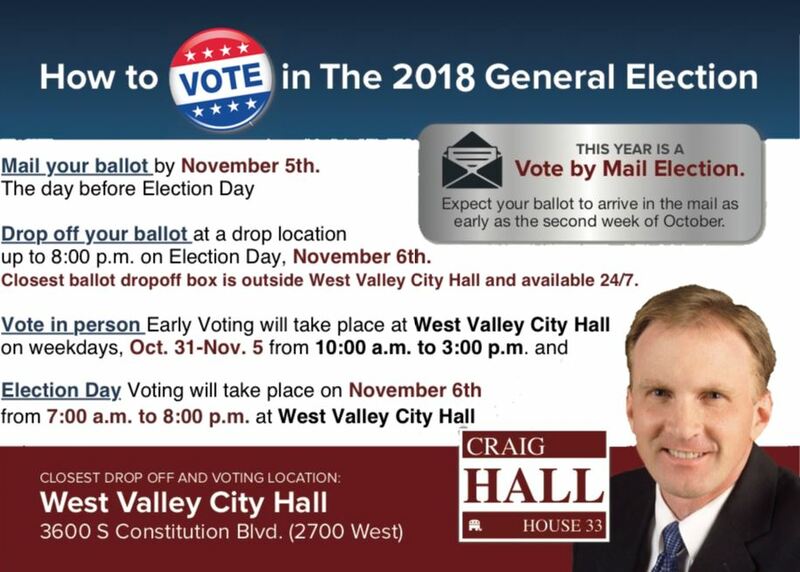 You can vote early at West Valley City Hall on weekdays Oct. 31-Nov. 5 from 10:00 a.m.-3:00 p.m.
Election Day voting takes place on November 6th from 7:00 a.m. - 8:00 p.m. Again, the closest location is West Valley City Hall. The Election Office tells me that if you vote in person, it is best to bring your already-received ballot with you to exchange it for an electronic ballot. 2 - Because there is only ONE poll location in District 33, the lines on Election Day may be LONG! DON'T WAIT UNTIL LATE ON ELECTION DAY TO VOTE! Lines may be very long, especially after normal work hours on Election Day. If you have any questions about the election process, see the County Clerk's website here. Their phone number is 385-GOT-VOTE (385-468-8683). There is also a great FAQ website regarding voter registration and voting here. You can also call me at 801-573-1774 (cell).